There are essentially four key periods in Elvis’ film career. From 1956 to 1969, Presley starred in 31 films. 27 were released in the 1960s. I’ll wait while you process what a ridiculous number of movies that is. During these two years, everything about Elvis seemed unstoppable. His appearances on the Ed Sullivan Show practically cause televisions to short out, his records are changing the sound of American music, and his movies are box office hits. Presley signed a seven-year contract with Paramount in April 1956. Love Me Tender, Loving You, Jailhouse Rock, and King Creole jump started Elvis’ movie career and they are considered some of his better films. Presley’s performance in King Creole was well-received at the time while the “Jailhouse Rock” number is widely considered to be Presley’s greatest screen moment. Love Me Tender, Loving You, and Jailhouse Rock are three of the top grossing Elvis films. Hal Wallis, who produced nine Elvis movies, would later be quoted as saying: “A Presley picture is the only sure thing in Hollywood.” This belief would eventually negatively effect Presley’s film career. Love Me Tender (1956) – I will never get tired of this picture. Although you are probably tired of me discussing these four films. 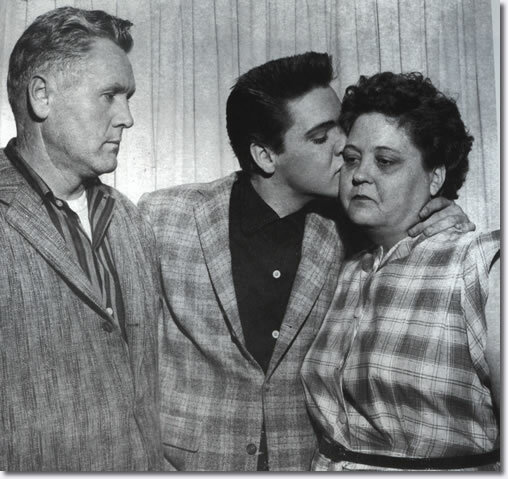 Presley was notoriously close to his mother. Apparently she reacted so negatively to his character’s death in Love Me Tender, Elvis would never die in a movie again. She died of heart failure on August 14, 1958, five months after Elvis began his military service. Elvis was reportedly distraught. This fact will probably cause many distractions and tangents since I believe the Oedipal Complex exists in almost every movie. Vernon, Elvis and Gladys Presley on March 24, 1958, the day Elvis was inducted to the military. 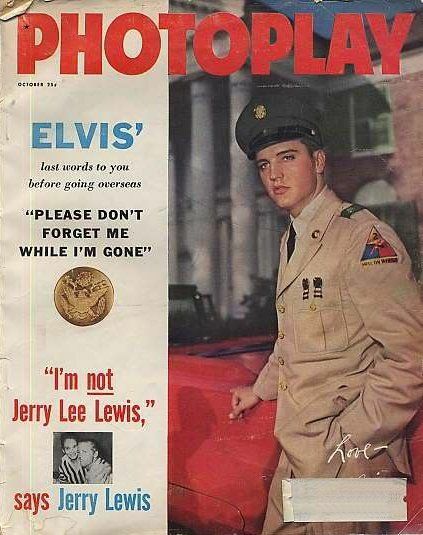 Elvis’ two years of military service caused a media frenzy. This resulted in an array of magazine covers offering comfort to the people most affected by Elvis going overseas: his young female fans. What is worth noting is that the fan adoration surrounding Elvis only grew during these two years. This guaranteed that the next six years would be ridiculously profitable for the studios. There is a noticeable shift in Elvis’ movies during these six years. Jailhouse Rock and King Creole are two of Presley’s best films. (He’s described in these films as “untamed pre-Army Elvis Presley”.) But after 1960 his films became formulaic… because money will always simultaneously control and ruin everything. 18 films were released during these six years. When Presley’s dramatic roles proved to be the least profitable, these films had to stick to a mix of romance, comedy, and enough songs to sell an LP. The fans loved it. Elvis Presley did not. He wanted to transition to more dramatic roles but this never happened. Instead, by the late 1960s, Elvis’ popularity had waned in favor of new musicians (The Beatles; The Rolling Stones). By 1967, everything about Elvis’ film career changed. 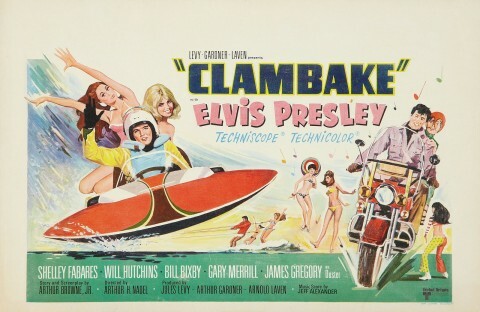 Clambake (1967) is the last film Elvis was paid a seven figure salary. The film’s soundtrack received record low sales for the singer. So. I’m intrigued by that futuristic jet ski. Elvis’ film career was pretty much kaput, though nine films were released during these two years. Elvis shifted his focus from movies back to his music career. Remember how he’s a singer? 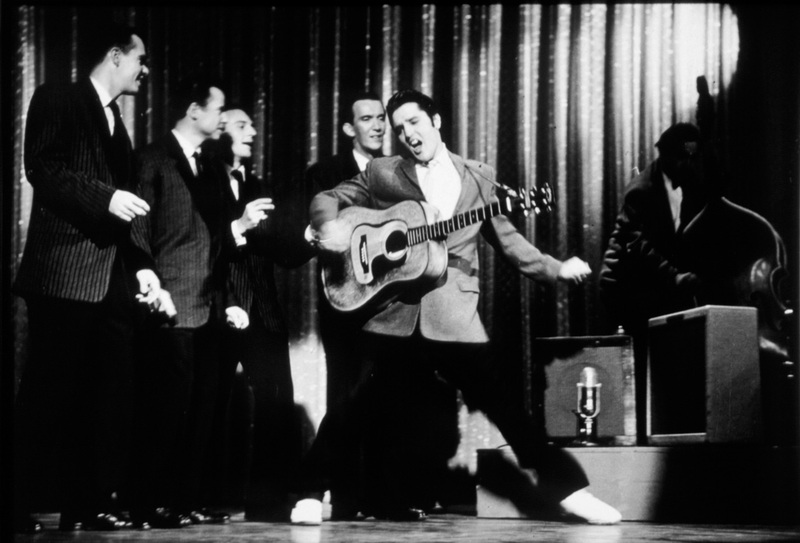 The television special “68 Comeback Special” was designed to remind fans and critics why Presley had become a star in the first place. So there you have it. A few important points are probably missing from this post but there is plenty of time to get to them. I’m sticking to this blogging about Elvis project for the long haul, whether you like it or not.